Nobody will replace the Dodgers as the top regular-season team this season, but the unlikely Marlins and Brewers are making surprising runs for playoff spots. Everyone is playing for something, even this late in the season. In the NL Central, three teams are playing for the division crown. In the wild-card race, slowdowns by the Rockies and Diamondbacks could open the door for upstart contenders. Meanwhile, the Dodgers are merely playing for the title of best team of all time. But there’s still plenty at stake for non-contenders. The worst team in baseball employs a rookie who’s on a record home-run pace. And a team previously left for dead is suddenly threatening to crash the playoff race, led by another slugger taking aim at history. This is the NL version of The 30. It’s hard not to get excited about rookies. At the start of a player’s career, his future hasn’t been written yet, making his potential as vast as you want it to be. When that player thrives from day one, it’s impossible not to dream big. 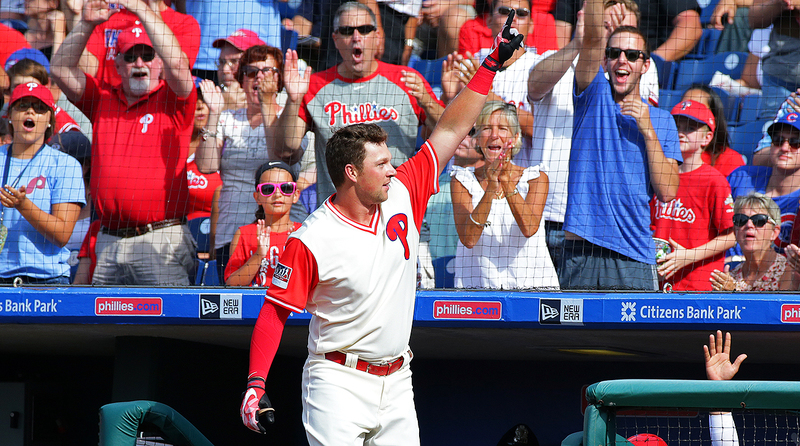 Rhys Hoskins has fueled those kinds of dreams. The Phillies outfielder/first baseman made his major league debut on Aug. 10. Four days later, he cracked his first major league home run. And his second. Hoskins than smashed seven homers in the next 11 games, in the process setting the all-time record as the fastest player ever to hit his first nine long balls in the Show. That kind of power might very well be for real too. Hoskins belted 29 home runs in 115 games at Triple-A Lehigh this season before earning his promotion. That result came after a 38-homer campaign at Double-A Reading in 2016. Then there’s the matter of major league vs. minor league baseballs in today’s age. Multiple research pieces show that Major League Baseball has introduced springier balls with lower seams, which makes them go farther, thus fueling what will go down as a record-breaking season for most home runs ever hit. Anecdotally, I spoke to one high-ranking executive who said said that a minor league star in his team’s system was taking batting practice one day, when a major league ball somehow got in with the batch of minor league balls he’d been hitting. That player subsequently hit the major league ball further than any other in his entire BP session. Add up rigorous research with stories like those—as well as power onslaughts like the one we’re seeing from Dodgers rookie slugger Cody Bellinger—and there’s a good chance your favorite minor-league hitting prospect could reach the big leagues and hit more home runs, faster than he ever has. If Hoskins drills a dozen more before season’s end, get ready for some dizzying speculation about his 2018 output. And some fun times for a Phillies team that could badly use them. Speaking of players taking their performance to new heights, how about Cory Spangenberg? Prior to 2017, the superutilityman had seen semi-regular playing time in one major league season, appearing in 108 games in 2015 and batting .271/.333/.399, with four home runs in 345 plate appearances. His career high for minor league homers came in 2013, when he managed six round-trippers in 572 times at the plate. All of that makes Spangerberg’s 2017 power output a bit of a shock—he whacked his 13th homer of the season on Wednesday, a few days after a three-game stretch in which he launched four home runs. Spangerberg’s power explosion was so impressive, the Padres even slotted him into the cleanup spot for four games, the first time that had ever happened in his major league career. There could be multiple explanations for his breakout. 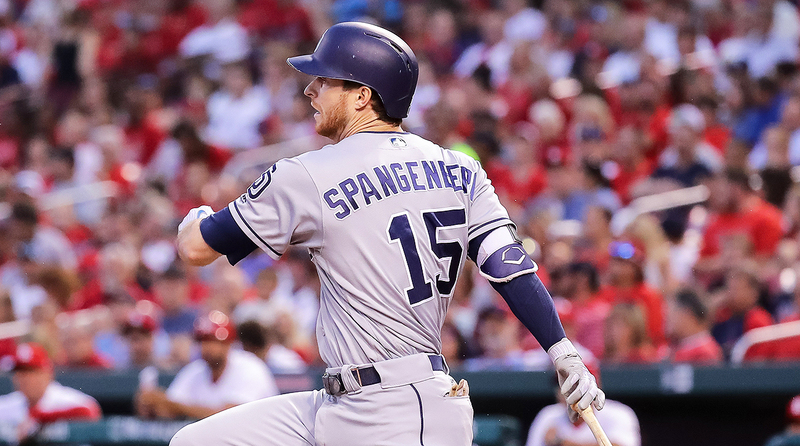 At age 26, Spangenberg has reached the age where many players’ skills come together. He’s hitting the ball harder than he previously had in the majors, always a positive sign. It’s also possible that this is simply random chance, that every light-hitting player will run into a few deep drives at some point in his career, and that Spangenburg has struck the power lottery this season. If you’re a Padres fan, you’re hoping it’s that first explanation, and that Spangenberg could become a key, if unlikely part of the team’s future. Still, you can’t help wondering if this is another case of juiced-ball bonanza. With the exception of Giancarlo Stanton, no established star slugger has seen his power numbers surge to record-challenging heights. What we are seeing is another class of player taking full advantage of the game’s new dynamics. If Yonder Alonso and Brett Gardner can start visiting the bleachers on a regular basis, maybe anyone can. If MLB doesn’t do anything to change the way the ball flies, expect every team to give serious thought to how they do player evaluation, and to ponder whether previously power-limited players might have their weakness solved for them in today’s game. During their glory years of 2010, 2012, and 2014, the Giants’ biggest strength was their cache of top-level, homegrown players. Buster Posey was the MVP-caliber catcher they’d stolen in the 2008 draft, because the Rays saw a superstar catcher playing just down the road at Florida State and decided, ‘nah, we’re good.’ Madison Bumgarner was the high-school phenom who became an ace, and a World Series hero. The supporting cast boasted plenty of homegrown heroes too, including the potent infield trio of Brandon Crawford, Brandon Belt and Joe Panik. Any team would kill to have that strong a foundation all develop together into major league standouts. But as the Giants look back on this lost season, they’ll face some tough questions about their future. Posey and Crawford turn 31 next season, while Belt turns 30. On the performance side, Crawford’s having his worst season since his rookie year. And on the contract side, Bumgarner’s incredibly team-friendly deal will have just two years left on it heading into next season. Meanwhile, other core contributors are even older, with Hunter Pence and Denard Span entering their mid-30s. 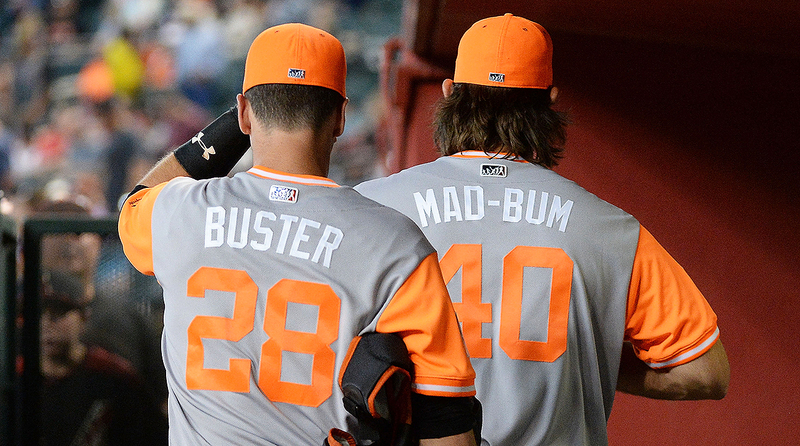 Add it all up, and you get the oldest group of position players in the National League. The Giants rallied impressively in the late aughts, going from the end of Barry Bonds’s career to World Series glory in just three seasons, thanks largely to the work of the team’s scouting and player development departments. Another dose of farm system success would be most welcome now, as San Francisco eyes another potential reloading process. 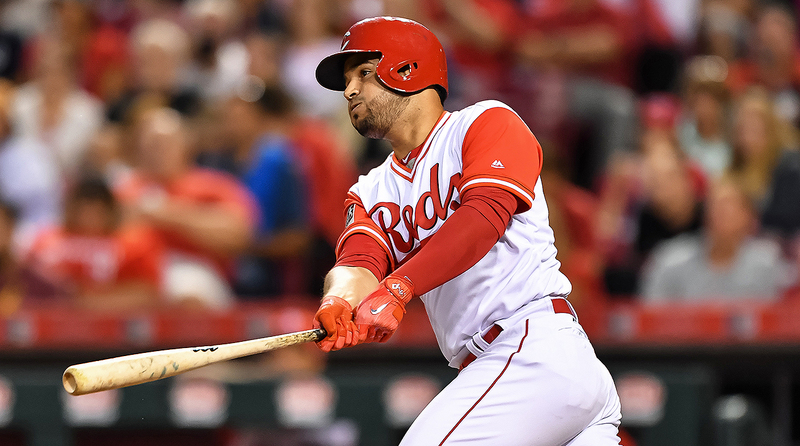 Since we’re being so skeptical of 2017 power surges, we have to at least scrutinize Eugenio Suarez a bit. The Reds third baseman was a single-digit-per-season home-run guy in the minors before cracking the majors, at which point he leapt to 13 homers in part-time duty in 2015, 21 in 159 games last year, and 24 already this season, with more than a month left to be played. But Suarez’s rise reads more like a case of across-the-board skills development when compared to other airball revolution beneficiaries. Since 2015, Suarez has hiked his walk rate more than threefold, going from one of the league’s biggest hackers to eighth in base-on-balls rate this year. Check out his plate discipline profile and you have a hitter who’s now chasing fewer pitches out of the zone, and swinging and missing less often. He’s also pulling the ball more often, and making far more hard contact then he did when he first got the call. Like Spangenberg, Suarez is 26 years old, which bodes well for his development. But in Suarez’s case, we’ve got a .270/.381/.497 hitter seeing across-the-board skills development who also plays a premium defensive position (he could conceivably shift to short next year if Zack Cozart leaves via free agency too) and offers three years of controllable service time. The Reds—or any team that might try to pursue him—could have a keeper on their hands. 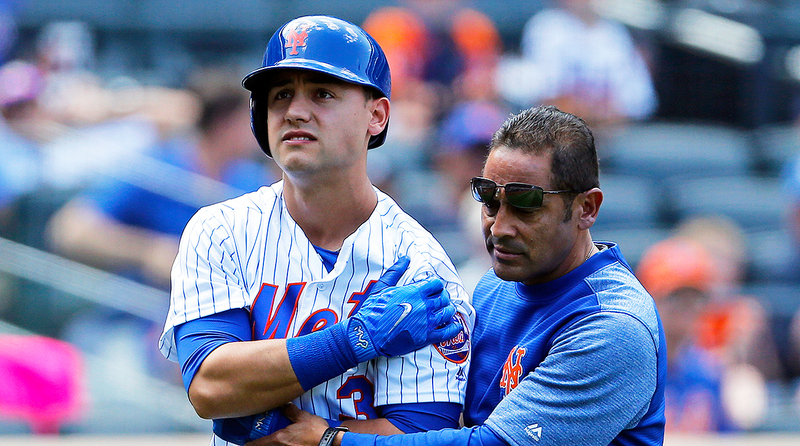 Context: Michael Conforto joins Noah Syndergaard, Yoenis Cespedes, Matt Harvey, Steven Matz, Zack Wheeler, Seth Lugo, Tim Teufel, Tom Seaver, Rusty Staub, Mookie Wilson and Mr. Met as key players who’ve spent significant time on the disabled list this season. Prognosis: Throw 2017 in the trash, take a good, hard look at your medical staff, make sure you haven’t walked under any ladders recently, and pray that 2018 isn’t anywhere near this cruel. 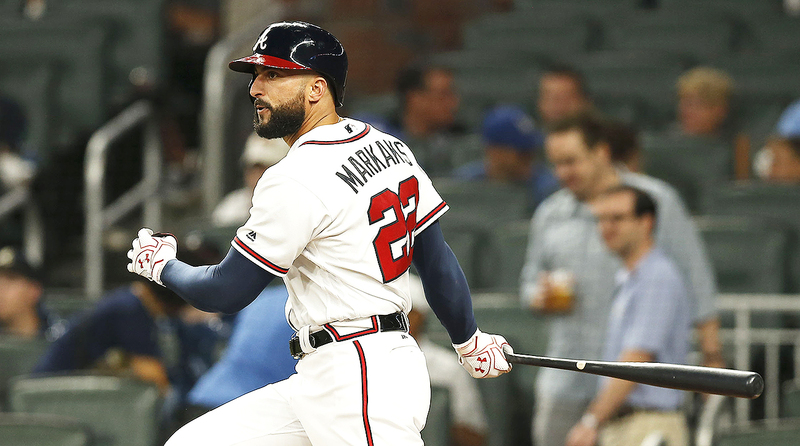 What happens if Nick Markakis gets to 3,000 hits? The 33-year-old outfielder made his major league debut in 2006, and has done nothing but spray line drives all over the ballpark ever since. He’s also been extraordinarily durable, playing in 155 or more games in nine of the past 10 seasons. That combination of high contact rates, solid bat control, and an ability to avoid the DL has Markakis over the 2,000-hit mark. Given that he’s still an everyday player putting up league-average numbers at this stage of his career, there’s little reason to think he’ll stop finding four at-bats a game any time soon. All of which could eventually throw a wrench in the one of the time-honored traditions of Hall of Fame voters. Every player in major league history with 3,000 hits is either in the Hall, banned for life, in a holding pattern while voters figure out what to do about suspect PED use, or on their way to Cooperstown once their five-year waiting period is up. Markakis reaching 3,000 would leave voters with a candidate who isn’t qualified for induction by historical standards. There wouldn’t really be any dilemma here, since voters would pencil in a few check marks, but otherwise politely decline. But when someone finally builds the hall of very good, Markakis would become a very strong candidate for induction. More often than not, we don’t properly recognize quiet, steady performance. Markakis is a living example of just that. And he might keep on keeping on all the way to a big, impressive round number. It’s not Lou Brock for Ernie Broglio, John Smoltz for Doyle Alexander, or Jeff Bagwell for Larry Andersen. 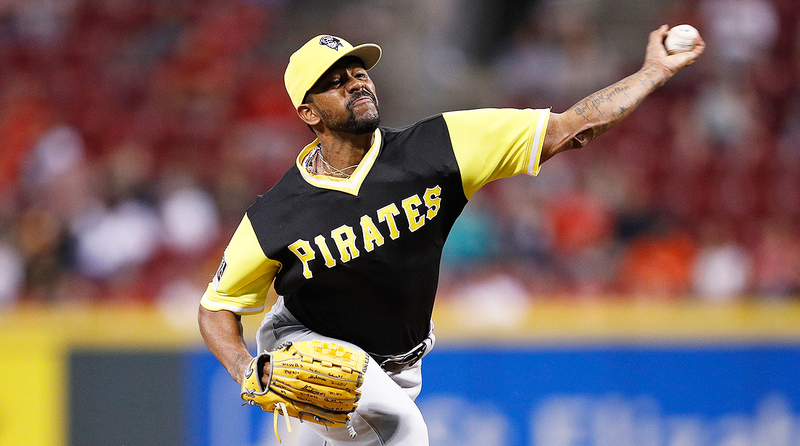 But if you’re looking for a recent trade that could emerge as unbelievably lopsided, and maybe one of the best in Pirates history, Felipe Rivero (plus minor leaguer Taylor Hearn) for Mark Melancon might be it. If you squint hard enough, you could see the logic behind the 2016 deadline deal from the Nationals’ perspective. Closer Jonathan Papelbon needed to be replaced, the Nats recognized they might have a limited window to win a World Series with Bryce Harper’s service-time clock clicking and several veterans either in or in the tail end of their prime, and they wanted an established closer to nail things down in the ninth, which Melancon certainly was—even if he was also just a rental who could leave via free agency at season’s end. But in Rivero, the Nats were surrendering a pitcher who’d turned around a bumpy start to his 2016 season, flashing a 0.93 ERA in his 13 outings leading into the trade. Moreover, Rivero was 25 years old, threw high-90s heat with a devastating slider and changeup, and couldn’t test the open market until after the 2021 season. In an otherwise mostly wasted year for the Pirates, Rivero is making last summer’s swap look like highway robbery. He’s been durable, appearing in 61 games this season and staying healthy all year. He’s been nearly impossible to hit, fanning 77 batters in 64 ⅔ innings and allowing just four home runs all year, with a 1.25 ERA. And while the Nats overrated the notion of a proven closer in reaching for Melancon, the Pirates have given Rivero a platform to blossom, installing the electric lefty as the team’s new stopper in June, and reaping the benefits. Seek out young talent, and don’t overrate roles—a solid mantra for any team trying to make itself better. Imagining some parallel universe in which Barry Bonds doesn’t hold the single-season home-run record is pointless and fruitless. Still, Giancarlo Stanton would enter some elite territory if he keeps up his current pace of 61.5 home runs. In addition to Bonds, only three other players—Mark McGwire, Sammy Sosa, and Roger Maris—have ever socked 61 or more dingers in a season. 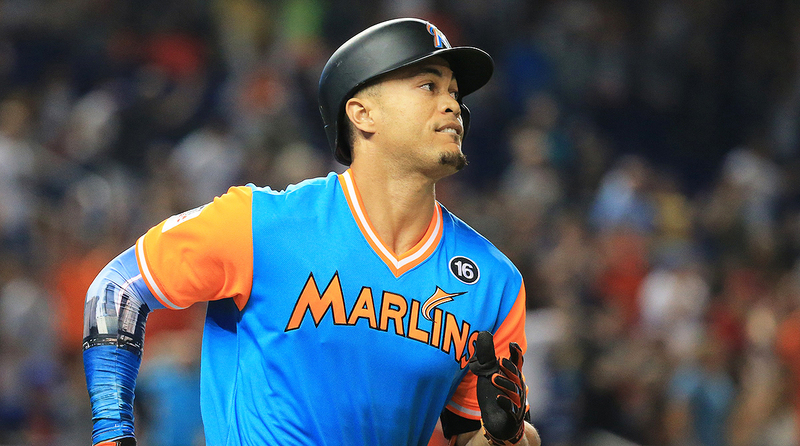 But in the midst of an absolutely wild run, Is it possible that we’re actually underestimating Stanton’s home-run potential? Thanks to his immense natural power, finally enjoying a full season health, and a livelier baseball, Stanton has hit 50 homers in his team’s first 129 games. But he’s been on a far more blistering pace over the past few weeks: Since July 5, Stanton has launched an unimaginable 29 home runs in 46 games. Maintain that pace over a full season, and he’d approach 100(!!!!) homers. Recent research by Rob Arthur and Greg Matthews at FiveThirtyEight suggests that, contrary to the belief of many statistically-inclined analysts, the notion of a “hot hand” for pitchers may in fact be real. Though we’ve yet to see a conclusive study along the same vein for hitters, the mere act of Stanton playing at 100% for a prolonged stretch is something we’ve rarely seen during his dynamic but often sidetracked career, and health alone could offer some momentum. On a more tangible basis, check out the Marlins’ schedule the rest of the way. They get nine games at Coors Field, Chase Field and Citizens Bank Park, the three most homer-friendly stadiums in the National League. Meanwhile, 18 of their final 33 games are against the Phillies, Mets and Braves, three of the 12 most homer-prone pitching staffs in baseball. So while the Marlins’ new owners foolishly ponder junking the most whimsical piece of artwork in baseball, Stanton has more five weeks left to make his hometown home-run sculpture dance, to take aim at the trees beyond the wall in Denver and the pool beyond the wall in Phoenix, and to leave an indelible mark on the game’s record book. Even if his name doesn’t quite make it to the top of the list. Love this recent quote from Cardinals rookie shortstop Paul DeJong in David Laurila’s always informative Sunday notes column for Fangraphs. Laurila asked DeJong if holding a biochemistry degree from Illinois State informs his mental approach to baseball. 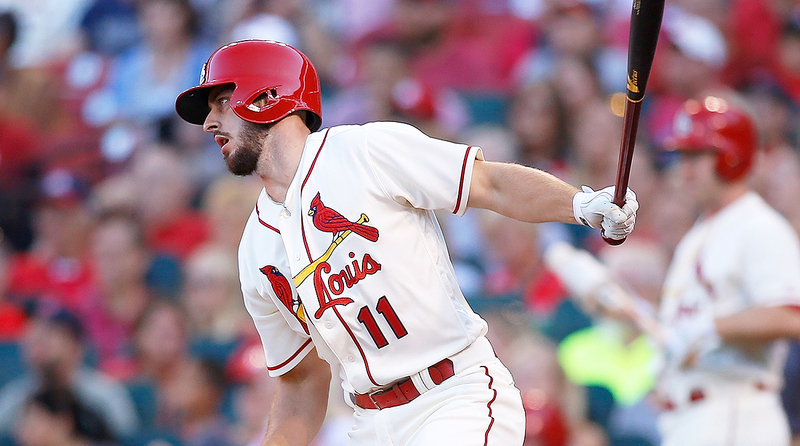 DeJong’s numbers bear out the idea that something is working for him, whether it’s natural talent, the juiced ball, or the study of adenosines. In 77 games, DeJong’s batting .298/.328/.565, with 20 homers. He owns one of the ugliest strikeout-to-walk rates in baseball, fanning 93 times compared to just 11 bases on balls. But DeJong has thrived by hitting balls hard, and pulling them, when pitchers do make mistakes that he can handle—he’s pulling the ball even more often than Stanton has this season. One problem: Aguilar has needed eight games to amass those 11 at-bats, failing to appear in any of the Brewers’ three games over the weekend, and making just two starts in those eight games. Then again, the Brewers have gone from an 89-loss team in 2016 to a playoff contender this year, one strong enough to carry not only Aguilar but also Jonathan Villar, Stephen Vogt, Hernan Perez, and Eric Sogard on one of the league’s strongest benches. So maybe this isn’t much of a problem at all. On Thursday, Rockies closer Greg Holland appeared to silence doubts about his recent struggles, setting down the Royals 1-2-3 in the ninth inning to earn his league-leading 36th save of the season. Turns out, that save was fool’s gold, with the three outs coming on three crushed balls in play registering 96, 97, and 98 mph. In Holland’s next appearance on Saturday, the Braves rocked him for two runs on three hits in ⅓ of an inning. That brought Holland’s tally to 14 runs allowed in his past eight appearances. He’s locating pitches poorly, walking far more batters and striking out far fewer batters this month, while allowing three home runs in his last four times on the mound. The Rockies acquired Pat Neshek at the trade deadline. Don’t be surprised if he and hard-throwing lefty Jake McGee start to see more save opportunities in the days and weeks to come. With the Rockies trying to hang on to a wild-card spot and claim their first playoff berth in eight years, they can’t afford to wait any longer. Jose Quintana’s first start as a Cub was one of the best by any pitcher this year. His seven-inning, 12-strikeout scoreless effort appeared to confirm what many already thought during his final days as a White Sock, that his early-season struggles were dead and buried. Turns out Quintana wasn’t out of the woods at all. In his seven starts since that first standout effort as a North Sider, Quintana’s walked 17 batters, allowed seven home runs, and posted a 5.31 ERA over 39 innings. Opponents are batting a far too healthy .253/.339/.457 in that time. Quintana’s combination of averaging just a shade more than five innings per start while also getting strafed over that seven-start stretch is a bad sign for a Cubs team that has Jon Lester on the disabled list yet still holds World Series aspirations again in 2017. The good news? Since the All-Star break, Jake Arrieta looks like he’s almost back to 2015 Cy Young form, flashing a 1.78 ERA and holding opponents to a .198 batting average. With the Brewers in hot pursuit and Quintana pitching like a fifth starter on a last-place team, Arrieta’s resurgence came just in time. Thank Flying Spaghetti Monster for Arizona’s four-game winning streak, as well as a whole lot of mediocrity once you get past Colorado. What could have been a season-crushing slump instead now looks like a little blip on the way to October baseball. Add in Ryan Madson, the right-hander who came over from the A’s with Doolittle who is currently on the disabled list with a finger injury (and is expected back before the playoffs begin), and the talented but relief-starved Nationals might have recorded the most impactful deadline deal in the league. If a hugely upgraded pen can help the Nats win their first playoff series since the 2005 move to D.C., the best move of the deadline won’t be in question. And that’s with an absolute blitzkrieg of starting pitching injuries plaguing the staff, including the Dodgers’ top two starters (Clayton Kershaw and Alex Wood) currently sitting on the disabled list. In some ways it’s unfortunate that we rarely notice anything a team does outside of the playoffs. Because if the Dodgers don’t win it all this year, their incredible regular-season performance most definitely should not be forgotten.